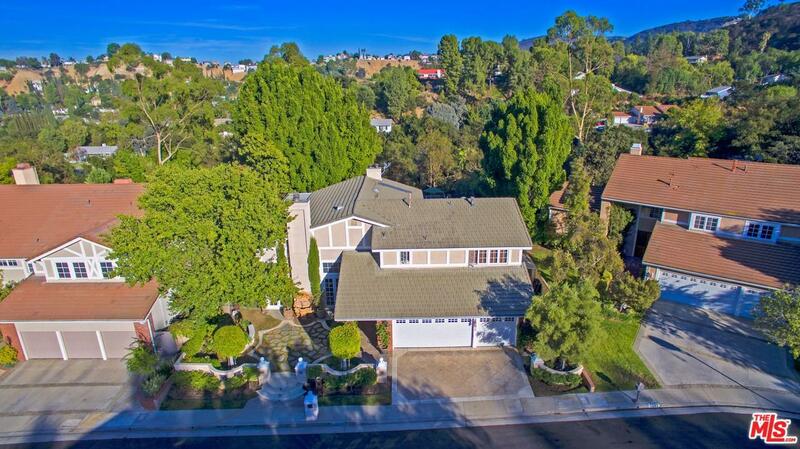 Amazing south of the blvd Woodland Hills home with beautiful tree top views. 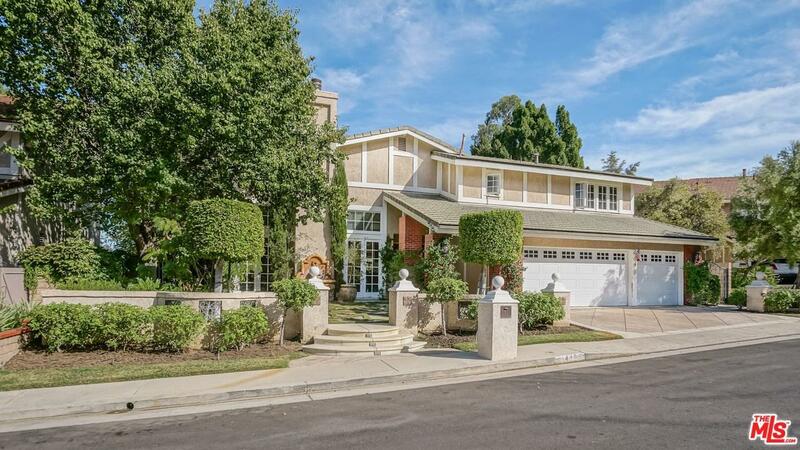 House is nestled over the canyon in a much sought after tract on a cul de sac. 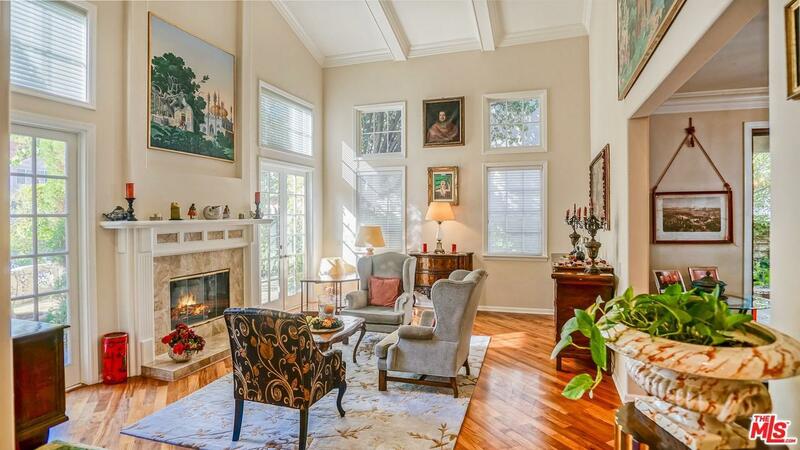 Upgraded throughout, this gorgeous home has many amenities including, gleaming hardwood floors, high coffered cathedral ceilings, abundant windows making this home light and bright. 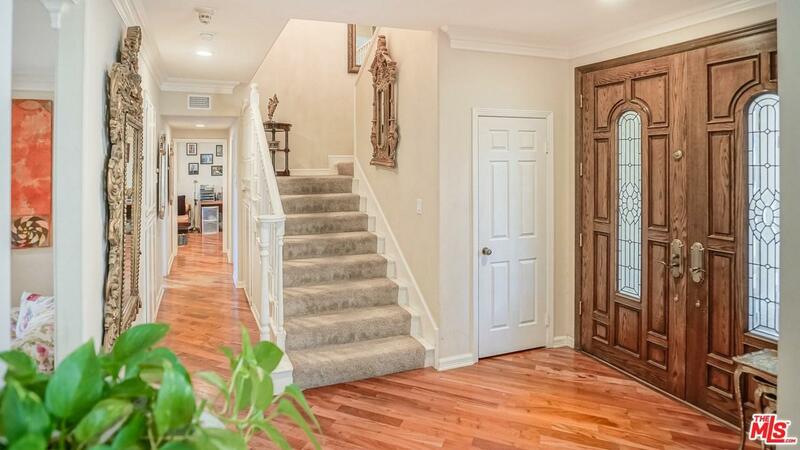 This 3,363 sq ft home has four bedrooms, 3 bathrooms on a 19,580 sq. ft. lot with a separate dining room, living room, family room, kitchen with eat in area and 3 car garage. Gorgeous large master suite with high vaulted ceilings, panoramic views off of the private balcony, fireplace, walk-in custom closet and a beautifully updated on suite bathroom with marble countertops and a soaking tub overlooking the mountains. Step outside to an entertainers paradise with grassy flat area, beautiful decks with breathtaking vistas, dark bottom pool and spa with waterfalls, built in outdoor Viking barbecue and more.Centrally located yet extremely private. Sold by Eduard Rotenberg BRE#01794146 of Altera Realty. Listing provided courtesy of Edoardo Beghi DRE#01794146 of Realty Executives Valencia and Jeff Brandolino CA DRE# 01259914 of Realty Executives Valencia.